This article has been written for us by David Hopkins (e-mail), an American Author living in the UK. It is a very informative piece which we hope will give some insight into the benefits of medical marijuana. David is planning to write a book on the subject so bookmark this page (CTRL +D) and keep coming back to look for more information. This article is based on the experience and knowledge of David and does not constitute medical advice and should not be taken as such. dope-seeds.com do not and cannot vouch for the accuracy of the information and we do not want to encourage any body to do anything that is illegal. I hope everyone who reads this article finds it as interesting as we have, Thanks David. 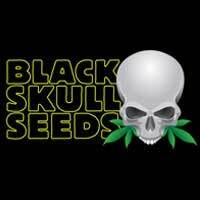 I am also a medical Marijuana grower/smoker. I’m what many would call a “veteran user”, having smoked Marijuana for pleasure on and off for the last forty years. I now suffer from an advanced medical condition that causes me severe pain daily, and my weight has fallen from 250 pounds down to 135 pounds in a little over a year. My appetite is practically non-existent as well. Now my reasons for smoking Marijuana have changed. For me and countless others, Marijuana is a safe, effective and predictable source of relief from many medical conditions/symptoms. It is still, however, illegal in many parts of the world. It can also be a very dangerous outing to try and locate some “dope” from dodgy sorts standing in darkened corners of the street who may just as easily run off with your money, or hand you a packet of something that doesn’t even resemble Marijuana. Buyers beware! Don’t put yourself in illegal and potentially harmful situations just to “score” a little pot for your personal use. Growing your own is a much better…and safer…option. I’ll tell you more on that subject a little later. Having said all that, things are slowly changing for the better. And with continued pressure from those of us who express a real need for this easily-grown natural remedy, the people in public office who compose and enforce these ridiculous laws that we all are expected to abide by will change their narrow-minded thinking and see Marijuana for what it really is. A natural, medical marvel. My condition has advanced to the point that I now require Morphine Sulphate patches every day. These must be worn constantly, but even morphine patches are not enough to keep my pain completely at bay. So, I supplement the patches with Marijuana that I grow right here in my own home so I can control its overall quality and grow any kind of Marijuana I like. The combination of the two medications makes my life live able. I am able to think more clearly, eat, move around and even “work” on my computer. This gives me the opportunity to tell others who seek more knowledge concerning relief for their own physical problems, about the amazing benefits of this most misunderstood of all plants. Now that you know a little about me and my recent medical history, we’ll move on. You should understand that “Marijuana” and “Cannabis” are two different names that refer to the exact same plant– Cannabis Sativa. But rest assured that no matter what you call it, Marijuana or Cannabis, they are one-in-the-same plant. “Hemp” is also a variety of this versatile plant, but it’s grown for fibre and oil production rather than for THC content. Hemp only contains an average of something like 0.00025 percent THC. In other words, you cannot get “high” by smoking it, no matter how much you consumed. For our purposes we’ll stick to talking about the more familiar Marijuana/Cannabis. But what’s in a name? American’s, Canadians, and many other “Western” cultures refer to this wonderful, most helpful weed (and it is exactly that…a weed) as “Marijuana”, which originally was a derogatory slang term for young Mexican men who secretly smoked the wild herb a couple of centuries ago in old Mexico. The name somehow attached itself to the plant, and it is known to many as Marijuana to this day. In most European countries, however, the plant is called “Cannabis” which, of course, is half its proper name. Some of the more common slang terms for Cannabis are: Pot, Reefer, Puff, Ganja, Grass, Pot, Gear, BoB Hope (Dope…Cockney rhyming slang), DirtY DeeD (Weed…Cockney rhyming slang), Herb, Dope, Mary Jane, etc. Slang words for Marijuana and Cannabis may be completely different in your part of the world. Now, here’s a bit of information about the plant itself. There are three distinctly different kinds of Marijuana/Cannabis. They are: Cannabis Sativa, Cannabis Indica, and Cannabis Ruderalis. Cannabis Ruderalis is a variety that grows wild in parts of Eastern Europe and Russia. It’s occasionally used in hybrids (an intentional crossing of two different types of Cannabis) to help the resulting plants be better able to cope with the cold weather. It is not generally thought of as a consumer strain, so we’ll confine our talk to Sativa’s and Indica’s. The “high” a person experiences when smoking a sufficient amount of pure or mostly pure Indica– such as Warlock or Medicine Man– is more of a heavy “body stone”. You may feel lethargic, tired, unwilling to attend to reality tasks. Experienced users call this “Couch Lock”. You really just want to let alone to sit and think deep, intellectual thoughts as you enjoy the pain relief. You may find it very hard to stay awake as well, so this sort of strain would be good for those having trouble sleeping. This is the best sort of “high” for easing pain and most of the other symptoms already listed here. A good Indica/Sativa cross can also offer the best of both worlds. There are many breeders who work hard to develop strains that will accomplish just that– give you a great head high coupled with a relaxing and definitely medically-beneficial strong body stone. Sativa’s, on the other hand, offer more of a “head high”. This type of high is the one most associated with hilarious fits of laughter, long discussions about nothing, enhanced audio and visual senses. You hear things in songs you’ve never heard before, see things in movies you’ve watched a dozen times but never noticed before. Strolling through brightly-lit malls becomes a whole new and exciting adventure. In other words, smoking a pure Sativa or mostly Sativa hybrid will make you feel great! Energetic and social and ready for fun! And depending on the particular strain of Sativa/Indica cross you smoke, you may get a good measure of pain relief in the deal as well. Consuming (eating) either strain or hybrid of the two results in a stronger, longer-lasting high. But it doesn’t feel as good as smoking the herb does to many who have tried it. It’s a matter of experience and personal taste. 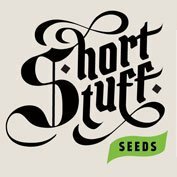 It really depends on what effect you are looking for when making your seed selection and choosing a way to ingest it. Now, here’s a bit of boring, but very important, information regarding the weed you’re interested in smoking or eating. You should always find out as much about something you’re going to put into your body as you can, beforeyou try it. THC (Tetrahydrocannabinol) is the psychoactive component present in Cannabis. In other words it’s the component in Marijuana that gives you the pleasant “high” feeling. But it doesn’t work alone to produce that feeling. There are a cocktail of chemical components found in Cannabis. Recent research has proved THC to be medically useful. CBN is a non-psychoactive agent, and is the component that makes the weed smell and taste so nice after it’s harvested and cured properly. It can also cause drowsiness and other similarly unwanted, but mild, side-affects. Different strains help different types of medical conditions. Some of the additional chemical components found in Marijuana are: Cannabigerol (CBG), cannabichromene (CBC), cannabidiol (CBD), delta-8-THC, cannabicyclol (CBL), cannabinol (CBN), cannabitriol (CBT), cannabavarin (THCU). All are known to have psychoactive and pharmacological effects. Animal testing has shown that CBN and THC reduce IOP (intraocular pressure), but CBD does not. CBD has, however, been found to have anxiolytic and antipsychotic effects. Also, unlike THC, CBD alone is not effective in treating pain. Though it does act as a sedative and can relieve muscle spasms. Medical studies also show CBD can improve sleep. CBD is also reported to be effective for treatment of dystopias, Huntington’s disease, Parkinson’s disease, and neuropathic conditions. The most desirable strains for medical use are ones that have been genetically developed by experts to have an extremely low CBN concentration while maintaining an available range of THC concentrates. 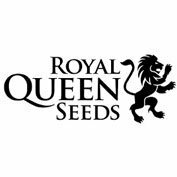 These include: “Durban Poison” (Dutch passion), “Haze” (greenhouse seeds), “Reclining Buddha” (Soma Seeds), “Power Plant” (Nirvana Seeds), and “Skunk #1” (Dutch Passion Seeds). Relief from nausea and increase of appetite. AIDS. Marijuana can reduce the nausea, vomiting, and loss of appetite caused by the ailment itself and by various AIDS medications. Glaucoma. Marijuana can reduce interlobular pressure, thereby alleviating the pain, and slowing — and sometimes stopping — the progress of the condition. Glaucoma is the leading cause of blindness in the United States. It damages vision by increasing eye pressure over time. Multiple Sclerosis. Marijuana can limit the muscle pain and spasticity caused by the disease, as well as relieving tremor and unsteadiness of gait. Multiple sclerosis is the leading cause of neurological disability among young and middle-aged adults in the United States. Chronic Pain. Marijuana can alleviate the chronic, often debilitating pain caused by myriad disorders and injuries. Many patients also report that Marijuana is useful for treating arthritis, migraine, menstrual cramps, alcohol and opiate addiction, depression and other debilitating mood disorders. Here are some great sources for individual research regarding Medical Marijuana and its use, trends, current laws, etc., Additional reference material can also be found at these Internet addresses.